This is my entry in the recent Heroes of the Storm contest hosted by Blizzard through deviantART. 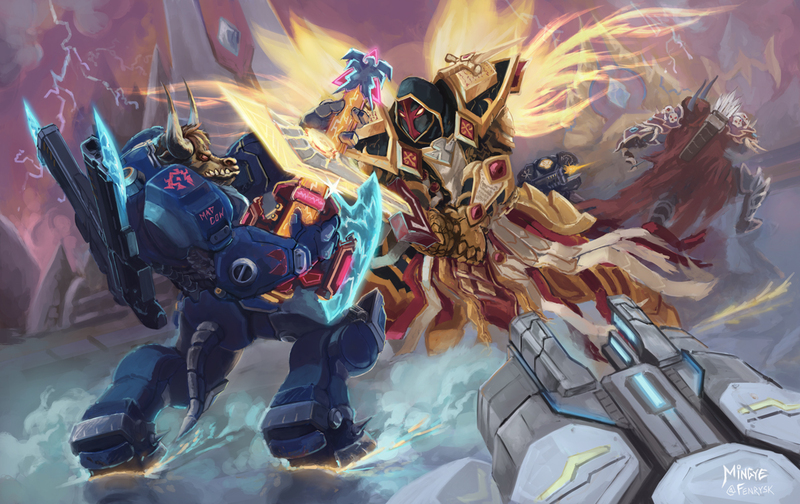 Blizzard Characters featured in this image include: Elite Tauren Chieftain (in Starcraft 2 Terran marine armor), Tyrael (in Warcraft paladin Judgement armor with Ashbringer), Sylvanas and Raynor (default appearances), and Sgt. Hammer (level 8 colors).